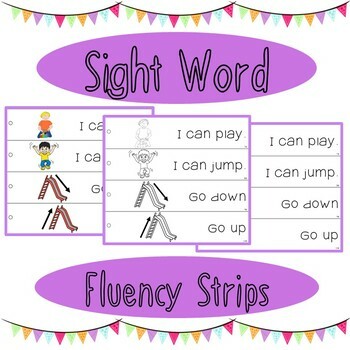 Sight word fluency strips with sight word phrases. Three levels of words included. 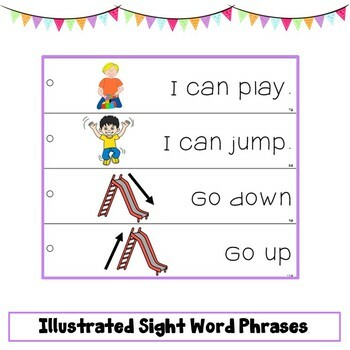 Each sight word is used at least once. 78 easy to read phrases in all. They are available with and without pictures and in black and white to allow for differentiation. 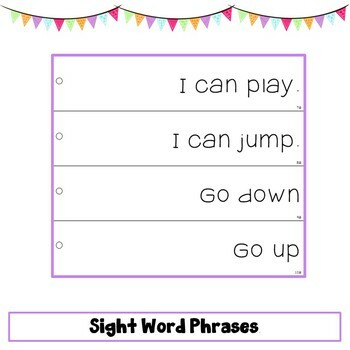 A fun way to practice sight words in context. 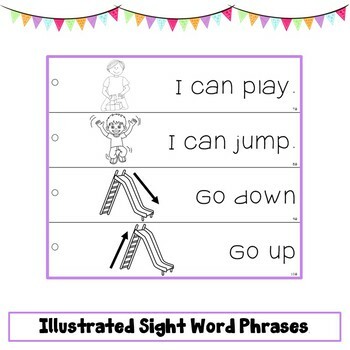 Great for English Language Learners.